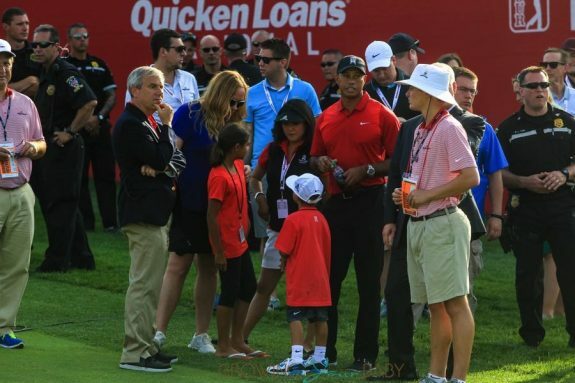 Tiger Woods had two special guests with him this weekend while attending the Quicken Loans National PGA Golf Tournament in Bethesda, Maryland. 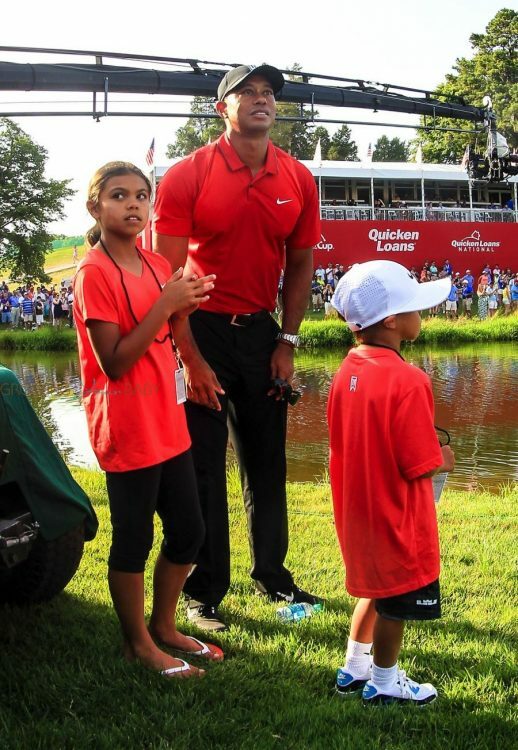 The golfer’s kids, Sam and Charlie were on hand to watch the game with their dad, who hosted the event to benefit the Tiger Woods Foundation. 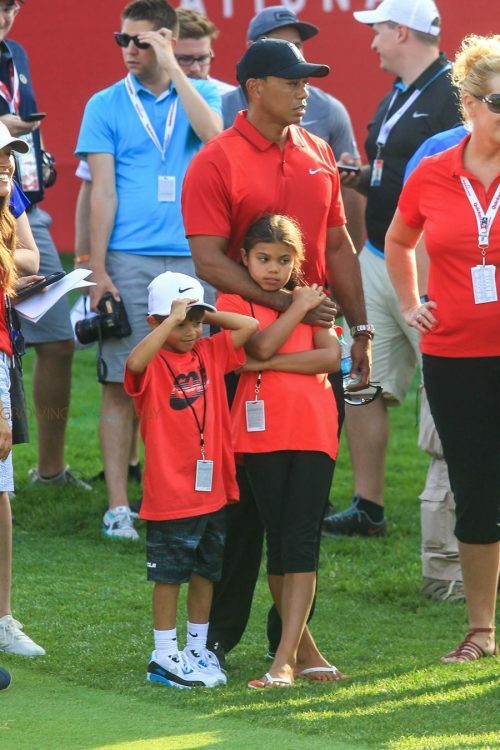 Wearing Tiger’s signature Sunday red, and NIKE from head to toe, the trio was photographed watching the game from the sidelines. Tiger has been off since last year while he recovers from two back surgeries in September and October. 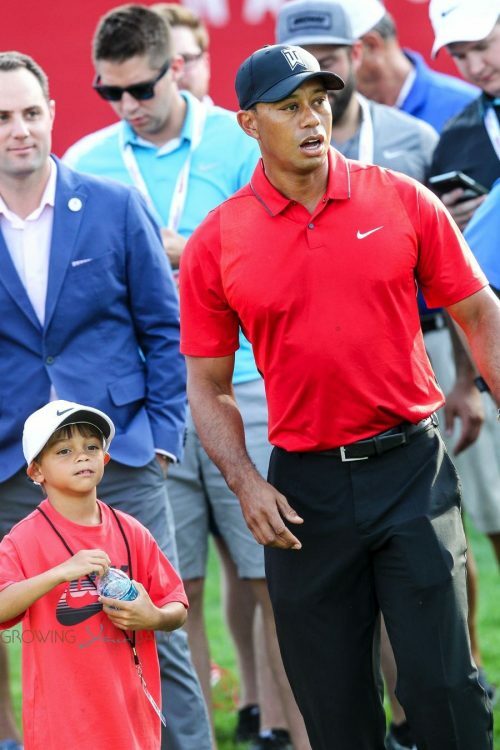 When asked by Jim Nantz if he was strong enough to come back, Woods joked that he’s good enough to beat his 7-year-old on the course. “Are you close?,” Nantz asked the star – referring to an upcoming return to the PGA tour. After noting that Charlie had just come in second in his first golf tournament, Woods revealed he doesn’t want to rush him come back. “Well, I’m playing. I need more time. I still need to get stronger, I need to recover faster, and that’s just going to unfortunately take time. Is there a chance he will play this year?